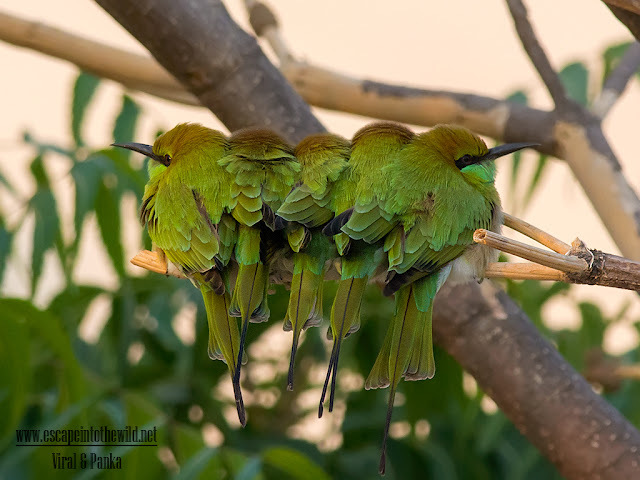 This winter we got the chance to observe social behaviour of Green Bee-eaters. They roost in our campus. 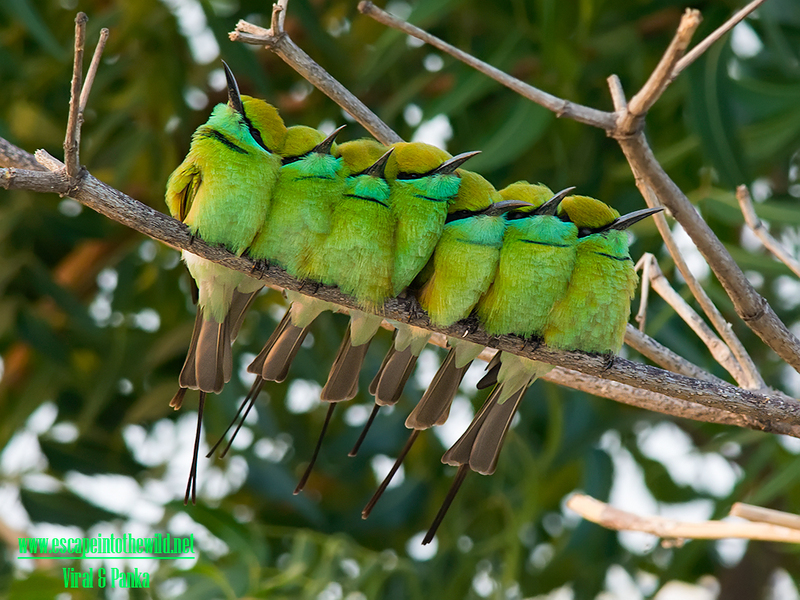 Green Bee-eaters usually seen in small groups and often roost in Neem tree communally in large numbers (200-300). The birds move excitedly at the roost site and call loudly, often explosively dispersing before settling back to the roost tree. At early winter mornings, they huddled next to one another to get warmness from each other. We saw many groups. It’s like their daily routine is to emerge from the roosting branches soon after dawn set altogether in such small groups of 6-14, preen and sun themselves for at least an hour, then disperse to feed. They used to produce loud chirping sounds and invited others to sit nearby. They only prefer closeness of known bird, if some unwanted bird came near to their group they try to drive them away. Green Bee-eaters are mainly insect eaters and they are found in grassland, thin scrub and forest often quite far from water. Several regional plumage variations are known and several subspecies have been named. Bee-eaters predominantly eat insects, especially bees, wasps and ants, which are caught in the air by sorties from an open perch. Before swallowing prey, a bee-eater removes stings and breaks the exoskeleton of the prey by repeatedly thrashing it on the perch.